What makes a quilt a quilt? 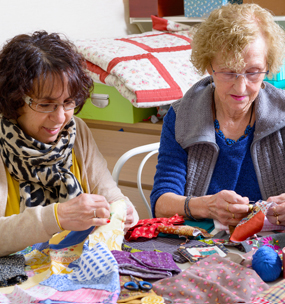 There are several components to a quilt but at a bare minimum it has two layers – a quilt top and the back. 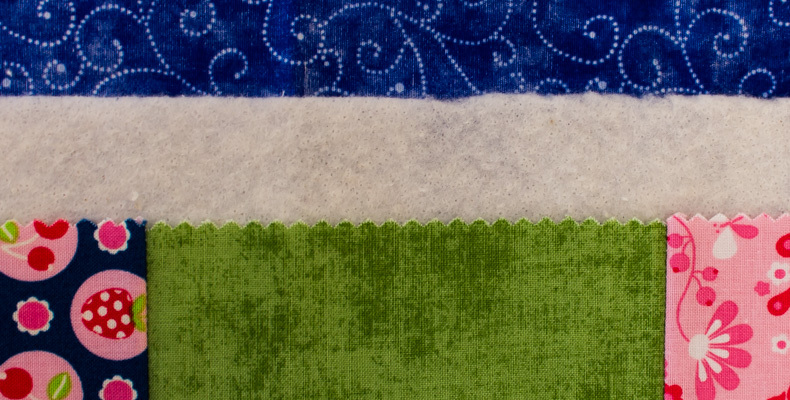 Most quilts also have a third layer of wadding/batting which goes in the middle. The quilt top is generally the decorative side of the quilt. 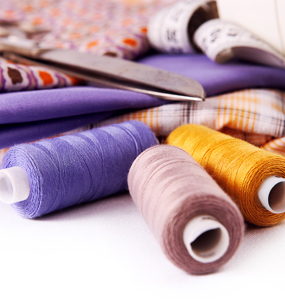 Often the top will be pieced together from a group of fabrics to create a pleasing pattern. This is known as piecing or patchwork. 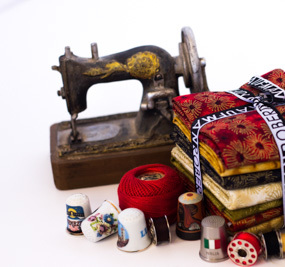 The pattern may be formed in a variety of ways including using quilt blocks, applique, English paper piecing or free-form techniques such as crazy quilting. Some quilt tops however, known as wholecloth quilts, are made from one piece of fabric with the quilting stitches forming the pattern. 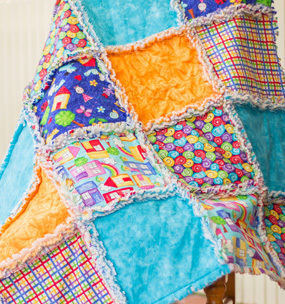 The quilt back is often made using one fabric but can also be pieced using scraps from the quilt top or a completely different set of fabrics. The wadding/batting provides some thickness and warmth to the quilt. The purpose of the quilt helps determine the type of wadding/batting used. For example, if the quilt is for the bed it may have no wadding if it’s to be used during summer or thick wadding if it’s to be used during winter, but if it’s a wall quilt it may contain only thin wadding so that it’s not too heavy to hang. Once the top, wadding and back are ready they are layered and pinned together. This is known as a quilt sandwich. The stitching is the actual ‘quilting’ part of the quilt. The quilt stitches hold the three layers together and either enhance the quilt top pattern, or adds an extra element to it. A label added to the back of the quilt provides a record of who made the quilt, when it was made and why. And then binding is added around all edges to finish off the quilt and hide all the raw edges of the fabric.